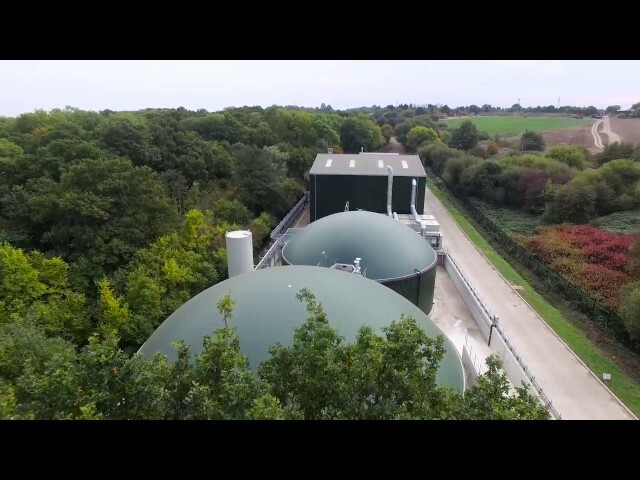 In 2016 Xergi delivered a 1.5 MWe biogas plant to Willen Biogas near London. Managing director Adrian Williams tells about the project process in a new video. The owners of Willen Biogas were looking for a supplier with a lot of experience and dedication to the AD industry, and according to managing director Adrian Williams that is exactly what they got when they chose Xergi as supplier. Located close to central London, Willen Biogas treats food waste from universities, supermarkets and restaurants in the area. Due to the site location, a number of restrictions had to be taken into account when planning the construction of the biogas plant. “Xergi’s design team were very receptive to our requests for design. We had certain constraints on our planning, and they respected that. We first set out to produce a 1.2 MWe plant, but from discussions we had in the lead up to the project, 1.5 MWe seemed to be very much available, so a 1.5 MW engine was installed, and to Xergi’s credit that proved to be the right decision,” tells Adrian Williams who at the same time expresses great satisfaction with the support that Xergi has provided during the commissioning of the plant.